This is a the follow-up to my recent posts on NBA uniform licensing. The following just focuses on recapping Champion’s NBA licensing history…. 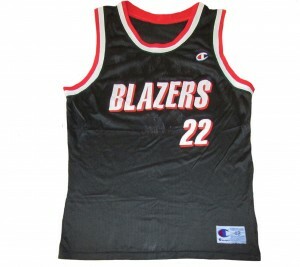 Champion was the official uniform provider for all NBA teams for 7 seasons (1990-1991 through 1996-1997). For the next 4 seasons (1997-1998 to 2000-2001), Champion was the official uniform provider for 10 NBA teams. In 2001-2002, Champion was the official uniform provider for 8 NBA teams. In the following post I look at the brands that have had NBA uniform licenses over the past 30 years. I begin with MacGregor Sand-Knit, who in 1986 signed the first exclusive NBA license to outfit all NBA teams and produce replicas jerseys. I then look at all the other team uniform suppliers over the years, including Champion, Starter, Puma, Nike, Reebok and Adidas. This is a good resource if you are looking for a particular replica jersey and want to know who produced it, or if you are trying to authenticate a jersey. NBA teams purchased uniforms directly from major manufacturers like Rawlings, Wilson, Russell Athletic, Medalist Sand-Knit/MacGregor Sand-Knit. There were also smaller manufacturer like Powers Mfg. (Denver Nuggets), Tiernan (LA Lakers) and Spanjan (Phoenix Suns). Some teams used local distributors who bought blank jerseys from the major manufacturers and customized them at their facilities. 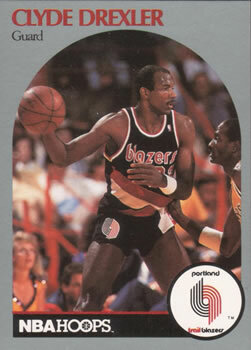 For instance, the New York Knicks used local distributor Gerry Cosby who in turn used Sand-Knit jerseys. These days, sports apparel brands pay top dollar to be the exclusive uniform provider for professional sports leagues, and when those deals are made, the sports media reports on them. For instance, Nike’s recent $1 billion dollar deals with the NFL and NBA were widely reported. But prior to Reebok’s exclusive uniform deals with the NFL (winter 2000) and the NBA (summer 2001) , financial figures for the uniform deals were never released in the media. In fact, even mere mentions of the deals are difficult to find. As a result, the history of NBA uniform licensing is difficult to piece together. But as a jersey collector, it’s important to have a basic comprehension of uniform licensees over the past 30 years. It will help you determine which players and teams might be available from a certain brand like MacGregor Sand-Knit, Champion, Puma, Starter, Nike, Reebok or Adidas. It’s also an important first step in determining which jerseys are legit and which are counterfeits. Several years ago when I first started trying to establish the timeline of Champion’s uniform licensing agreement with the NBA during the 1990s, I was not able to find one resource that accurately laid out NBA uniform licensing deals. I bounced around to different collector forums to try to piece it together, but found a lot of conflicting information and inaccuracies. Furthermore, no one had any supporting documentation backing up their claims. So I spent substantial time researching and piecing it all together. This series of posts are dedicated to providing an accurate, comprehensive look at the history and evolution of NBA jersey licensing. I have included links throughout this post to numerous articles, advertisements, product photos, etc. that backup my research. 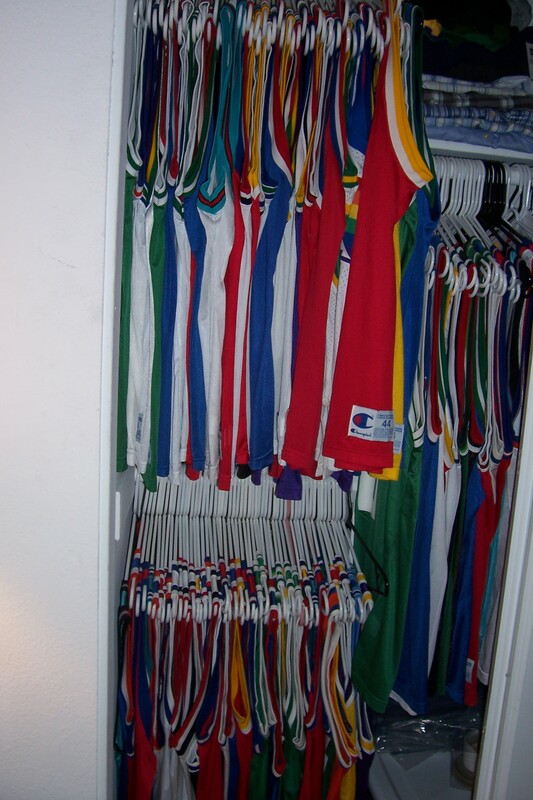 For the past 15 years I have collected and sold Champion basketball jerseys. 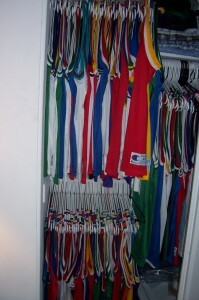 Over that time I have documented over 1,200 different jerseys. All of that content just collected in a folder on my computer….until now. For the past ten years I have wanted to create a blog-o-site that contained a comprehensive photo archive of every Champion NBA replica jersey ever made. But I didn’t have time, and I thought since the internet has everything, someone would eventually come along and create it. 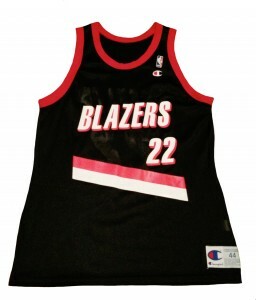 But, as the popularity of Champion jerseys continues to increase, there still is no place on the web where enthusiasts/collectors can go to see/discuss/learn about Champion basketball jerseys. Maybe I’m the only one who cares that much, and maybe that’s a problem…my girlfriend tends to think so. But nonetheless, this is my gift to the internet…which is now one step closer to containing everything ever. Over the next several months, I’ll attempt to post one team gallery per week. Eventually as more content is posted, you’ll be able to search by player as well. And hopefully at some point, I’ll create galleries for the NCAA jerseys and for the NBA Authentic jerseys as well. 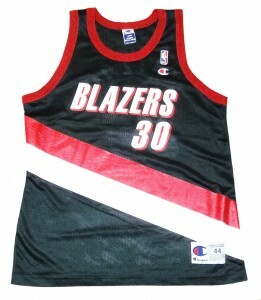 But for right now, my focus is just on adult Champion NBA replica jerseys. My blog posts will be aimed more at collectors and enthusiasts…more heavy on detail and history. But this site is for all NBA fans who grew up during the 90s and want to take a look back at uniform designs, players, etc. Champion jerseys capture a moment in time for the NBA from 1991 through 2002….my favorite period in basketball. There are no jerseys for sale on this site, this is merely for historical purposes and for reference. If you own a jersey that is not posted on a published team page, send me photos and I’ll post it and give you credit. The whole goal of this site is to be a complete archive, so definitely appreciate any help from fellow collectors!